EXT. A ROAD IN THE CENTRE OF SEVILLE. DAY. Two men: Carlos (38, overweight) and Sebastian (26, underweight) are carrying a large, baroquely framed mirror down a crowded street. Agustín Fernández Mallo was born in La Coruña in 1967. He is a qualified physicist and since 2000 has been collaborating with various cultural publications in order to highlight the connection between art and science. His Nocilla Trilogy, published between 2006 and 2009, brought about an important shift in contemporary Spanish writing and paved the way for the birth of a new generation of authors, known as the ‘Nocilla Generation’. He has also published a book of stories, El hacedor (de Borges), remake, and the essay Postpoesía, hacia un nuevo paradigma. His poetry is collected in the volume Yanadie se llamará como yo + Poesía reunida (1998-2012) and his latest novel, Limbo, was published in Spain in 2014. Thomas Bunstead writes for the Times Literary Supplement, the Paris Review Daily, and the Independent on Sunday. His short stories have been published in >kill author, Days of Roses, and Text’s Bones. He has translated Enrique Vila-Matas, Aixa de la Cruz, Eduardo Halfon, Yuri Herrera, and Rodrigo Fresán. Nocilla Experience is published by Fitzcarraldo Editions. Author and translator bios courtesy of the same. 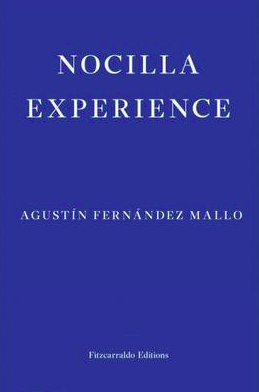 Posted in Book reviews and tagged agustín fernández mallo, nocilla experience, screenplay. Bookmark the permalink.